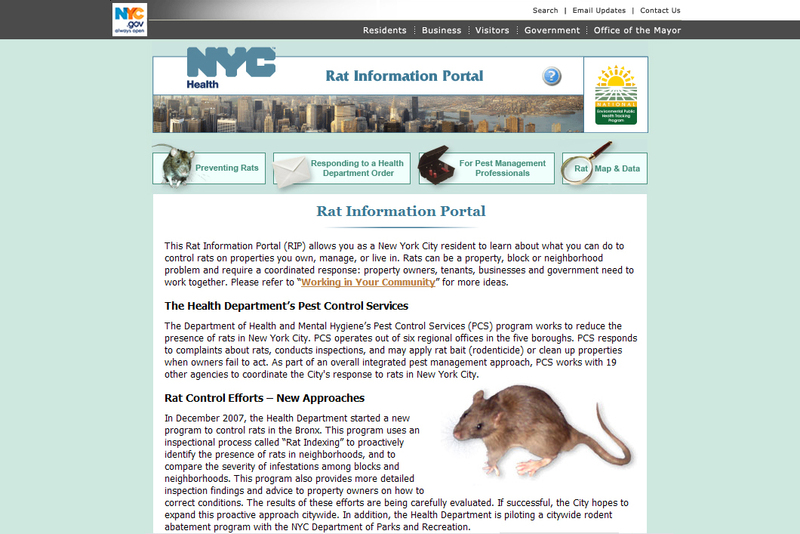 This portal uses map-based tools to help residents and city managers know where rats have been found. 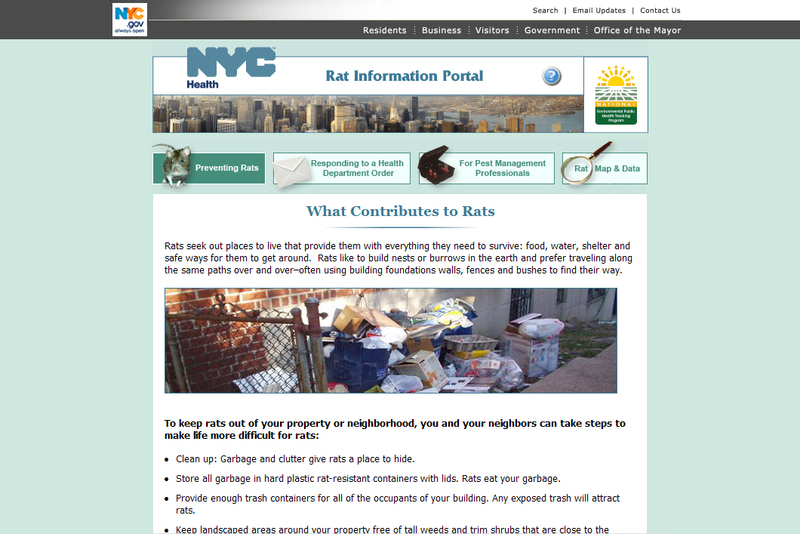 In addition, RIP includes supporting documentation on understanding how to manage the presence of rats in the city. I was tasked to design the interface within NYC DOH standards and layout the pages.